FWD Group has revived talks about a potential acquisition of the life insurance operations of Thailand’s Siam Commercial Bank. 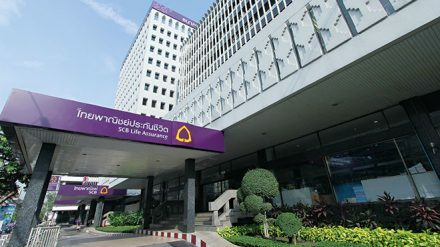 SCB has reached a preliminary pact with FWD on a potential life-insurance partnership, the lender said in a Bangkok Stock Exchange filing on March 22. Any deal would see FWD acquire SCB’s life insurance unit and sign a long-term distribution agreement with the bank. SCB, Thailand’s biggest listed lender by assets, had explored a sale of its life insurance business in 2017 at an expected US$3 billion valuation, although this figure was thought to be a potential deal-breaker. It held talks with potential buyers including AIA, FWD, Manulife and Prudential. FWD already has more than 900,000 customers in Thailand where it also has a distribution agreement with TMB Bank. If the deal goes ahead it could propel FWD into the top five life insurers in the country. Thailand has a competitive life market with AIA and Muang Thai Life among the leading players. In October, FWD agreed to acquire Commonwealth Bank of Australia’s 80% stake in Indonesian life insurer Commonwealth Life for around A$426 million (US$300 million). As part of the agreement, FWD is entering into a 15-year life insurance distribution partnership with CBA’s Indonesian banking business Bank Commonwealth. FWD will also contribute additional payments based on performance.